Experts used to think that dietary cholesterol, found in animal-based foods like egg yolks and prawns, raised total blood cholesterol levels. However, new studies have shown that this isn't true. Oats are one of the most well-known cholesterol-lowering foods. One Thai study that gave people with high cholesterol either oatmeal or rice porridge every day for four weeks found that those who ate oatmeal experienced a 10% reduction in their LDL – that’s the bad type – cholesterol and a 5% slash in total cholesterol. A body of research has tied pulses – the umbrella term for beans, lentils and peas like chickpeas – to healthier cholesterol levels. A study published in the Canadian Medical Association Journal found that eating a three-quarter-cup of pulses daily lowered LDL cholesterol by 5%. It may not sound like much, but it’s a very significant drop! In a Pennsylvania State University study, researchers put overweight adults on a low-fat diet without avocado or a moderate-fat diet with avocado. While the low-fat diet reduced LDL cholesterol by 7 mg/dL, the moderate-fat diet produced even better results. While the non-avocado eaters had a 8 mg/dL reduction in LL cholesterol, the avocado group had a 14 mg/dL reduction. A study published in the Journal of Nutrition found that heart disease patients who consumed 10 g almonds – that’s about eight almonds – before breakfast every day had significantly better HDL cholesterol levels. 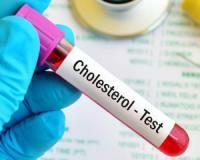 After six weeks, their good cholesterol values were between 12% and 12% higher compare to the baseline level. By week 12, they were 14% to 16% higher! Make sure you include these four foods in your diet to keep your cholesterol levels in check.